I remember as a kid loving pistachio pudding and ice cream, and never really knowing that pistachio was a nut. I thought it was a flavor, like amaretto or caramel. Once I got a little older and realized what it was, I was on the hunt for pistachios everywhere. One year, my grandma put out a little bowl of pistachios on Christmas. One side was red, one was green..they were so much fun to crack open and eat! I just love pistachios. 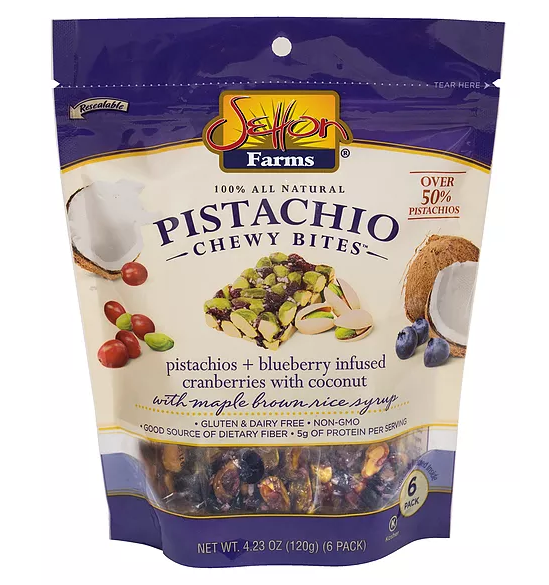 I knew when I heard about Setton Farms Pistachio Chewy Bites I was going to be really happy with them. Pistachio Chewy Bites were created with one simple concept in mind: make an all-natural snack that is both delicious and provides the nutritional fuel you need each day. 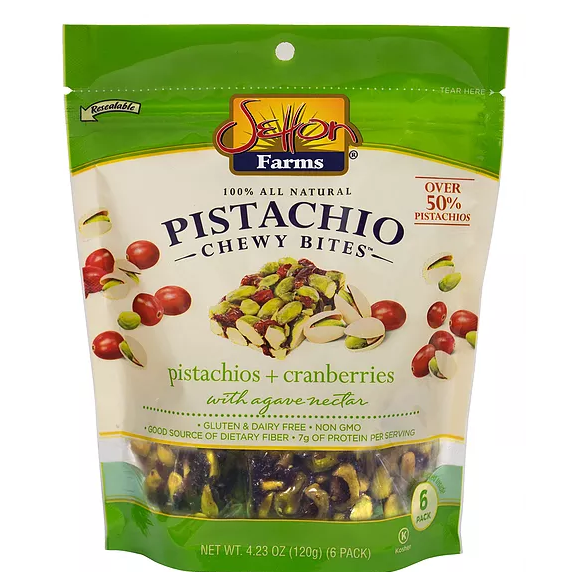 By combining over 50% of our own California grown, nutrient rich pistachios with moist antioxidant cranberries, you get the energy and nutrients you need in one bite sized snack. As a bonus they are vegan, Kosher, Certified Gluten Free & Non-GMO Project Verified. 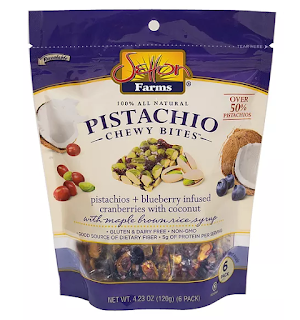 Now, I hear they are also available in Pistachio + Blueberry Infused Cranberry and Coconut which I need to try ASAP! You can find these and other Setton Farms products online and in stores like Walmart.